In addition to our regular weekly specials on St. Johns Wort, Liquid B12 Complete, Natria Triple Effect Age Relief Cream and Natria Acne Treatment Gel ~ Check out out Memorial Specials below. Receive FREE standard shipping* on all Internet orders of $100 or more. 12 Hours, 12 Free Passes-for-two to Convention 2005! We'll draw one winner of two free passes to our 2005 National Convention every hour we're open on Thursday, May 26. To get in the drawing, you must place at least 1 order of 500 QV on that day. (Already qualified for Convention? Don't worry. This prize is fully transferable, so bring some friends). • Place an order of at least 250 QV and you'll automatically receive a free bottle of LBS II capsules. Also, for every 250 QV you order during these days you'll get a drawing ticket for hundreds of great prizes. (See below). • Place an order of at least 500 QV, and not only will you get a free bottle of LBS II, but also the free Habit-of-Health product-of-the-day! (See chart below). Also, for every 500 QV you order you'll receive a drawing ticket for Convention 2005 in Salt Lake City). End-of-Month Drawing-Hundreds of Prizes worth Thousands of Dollars! Every 250 QV you order gives you 1 ticket in the drawings! Four Lucky Winners will receive a 60-second shopping spree on NSP's Shipping Lines! On June 1, 2005, NSP will conduct a final drawing for four 60-second shopping sprees at National Convention! To enter, simply place an order of at least 500 QV on any of the days of this special start-of-summer sale! For every 500 QV you order, you will receive a ticket in the drawing for as much FREE product as you can grab on NSP's shipping line in 60 seconds! Plan on a large order? Quickly enter the promo numbers and order quantities using our Rapid Entry form. 1. Free passes to Convention include all Convention meetings, transfers, group meals, sessions and workshops. Does not include airfare, non-group meals and incidentals. Free passes ARE fully transferable. 2. Shopping spree is 60 seconds on NSP's shipping line during Convention 2005 in Salt Lake City. 4. Limit of 1 drawing prize per account number. Accounts may enter as may times as they wish and will be included in every drawing for which they are eligible. * Although inventories have been increased for this promotion, specials are available only while supplies last. NSP reserves the right to discontinue any product sales because of high demand and manufacturing constraints. *Free Shipping: UPS Ground or Parcel Post for lower 48; US Mail Priority for Virgin Islands, Puerto Rico, Alaska and Hawaii. Last week, here in Charlotte, NC, we enjoyed going to Talleys Green Grocery www.talleys.com to celebrated their 14th Annual Free Food Tasting Fair. My taste buds were in their glory.... and after two and half hours of devouring a banquet of fresh, organic, Nutrient rich, Delicious, succulent nourishment in the form of foods and drinks, Isle after isle (gluttononeously speaking here) I had learned so much about how food should and could taste without all that chemical residue we as a nation have come to depend upon. It was quite the experience! Notably I was full of energy afterwards. They served a smoothie which was so easy and delicious. When I got home I added a few of Nature's Sunshine Powders and liquids to it to make it perfect for me ~ and you! Blend til all Ice has been chopped good and Liquid is moving in tornado fashion up top. Add ice or more frozen fruit to desired consistency. nutrients in this drink and you will only get a healthy toilet). I hope you are doing well. With the onset of spring we are all busy gardening, cleaning and looking for renewal. That's why I have contacted you today. We are planning new events starting this week. A Ch'I Kung instructor will be having class here each Wednesday from 10 to 11 am. This is our ad that will appear in June Natural Awakenings. Do you know the difference between being selfish and taking care of self? Yes, no, maybe ...Join certified Life Coach Sherri McNeil for a 2-way discussion. Get new ideas and options on making positive choices. Special: 3 Colon Hydrotherapy treatments in 30 days for $180. Aqua Chi Detoxifying - $25. Ear Coning (Candling) - $25. I have added many posts to my Health & Nutrition Blog this week and hope you will check in on this weeks news. Please check out NSP Specials, recipes, dieting tips, ideas to help with joint pain, Class information and much more here at my blog. Herbaganza June 10-11, 2005 - Auburn, NY - Natural Health Expo!!! SPLENDA® Is It Safe Or Not? Blend til all Ice has been chopped good and Liquid is moving in tornado fashion up top. Add ice to desired consistency. *We need to get 75 enrolled in the class by the end of the month to book the larger ballroom. Members in my downline are in the process of inviting clients, friends, family and neighbors. Email me for a signup sheet if you would like to do the same. We have joined the Ranks in NSP in the quest to Educate America. If you are in the Charlotte area I would like to invite you to please join us ~ Call me to make your reservation as soon as possible 704-588-7638. As a people, our health is deteriorating. More and more Americans struggle with diabetes, obesity, heart disease and other challenges every year. Despite spending more on health care than any other nation, we can't seem to overcome these health issues. Television, magazines, journals and other media constantly tell the story but don't provide the answers. Nature's Sunshine has the answers in the Untold Truths. Learning these will help you take control of your own health and teach others to do the same. Invest in yourself and attend this exciting event. This will be a half day seminar lasting 4 hours. As many of you know the full day class teaches all 6 modules and lasts 8 hours. At the mini seminar we will cover 3 of the 6 modules but all attendees will receive all materials (CD, books brochures and resource disc) for all 6 areas. After the seminar, continue your education with the excellent learning tools you will receive. Additional classes will be offered for free to anyone attending this class, who is interested. Our tools were created by some of the leading medical and nutritional professionals in America today. They contain cutting-edge, research based information on each health topic and highlight natural and safe solutions for these concerns. We have created resources for each learning style. Booklets, brochures and audio CDs accompany each of the six modules, and a complimentary resource CD contains supplemental information and Power Point presentations. =The Diabetes Epidemic: Our Deadly Fascination with Junk Food! =Transform Your Health, Transform Your Shape. The Untold Truth about Permanent weight loss. Check with friends, family, neighbors, teachers, co workers and your doctors and nurses and invite them as well to learn these Untold Truths. Please join me ~ Help Educate those you love and care about so they too can benefit from what is shared though these tools. Health through Nutrition is the key to us living our lives to the fullest. Please join me! I would be happy to send you a sign up sheet if you have others you would like to invite. Just let me know. Either way, please call me to reserve your seat. Don't live in the Charlotte Area? Email me for a list of classes which may be coming to your neighborhood. Please let me know how I can help you best. Have a great Week! "Those who do not have enough time for good health, will not have good health for enough time"? Have you all met Donna & Jim Randolph Yet? 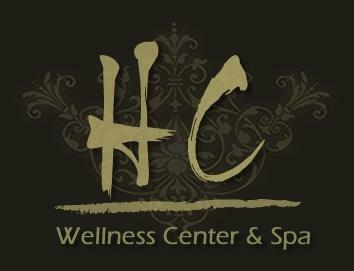 Healthy Connection offers Colon Hydrotherapy, Aqua-Chi Detox, Ear Coning and Aromatherapy. We have weekly and monthly education classes to maintain health, fitness and balance. Enhance wellness, relieve stress , and increase energy with this ancient healing art.Focus on breathing, posture and soft movement. Benefits persons of any age or physical ability. Instruction by John Crisco. $15 per class, monthly rate available. Healthy Connection ~ 100-B N. Main Street, Lowell. Gout is a metabolic disease characterized by excessive amounts of uric acid in the blood and deposits of uric acid crystals in the joints. Uric acid is a byproduct of protein metabolism and is filtered from the blood by the kidneys. It is important, therefore, to alkalize the diet. Animal protein consumption should be reduced. Soda pop should be avoided completely. Complex carbohydratres such as fresh fruits, dark green vegetables and other alkaline-forming foods should be increased in the diet. Follow the same general recommendations as those listed under Arthritis. The following remedies help to alkalize the body, raising pH levels in the urine and saliva. The following remedies may help to balance an overalkaline pH in the ruine and saliva. Cellular Energy, Food Enzymes, Proactazyme Plus, Probiotics, Protease Plus, SynerProTein, Vitamin C.
Many arthritis sufferers are using non-steroidal anti-inflammatory drugs (NSAIDS). Initially, these drugs may knock out the pain and seem like a solution, but they are not removing the cause and because they are toxins themselves will eventually contribute to further breakdown of the body. Other arthritis sufferers opt to use corticosteroids or undergo surgical repair or replacement. Killing pain does not get rid of the cause of arthritis. In natural therapy we are seeking to eliminate root causes. Arthritis is caused by irritation to the joints. The irritation must come from somewhere. Remove the irritant causing the problem and irritation to the joints ceases. Joint irritation comes from three major sources. The first is structural stress (mechanical wear or damage). The second is chemical stress, environmental toxins and nutritional deficiencies that weaken the joints. Emotional stress (being “frozen” in our lives) can be a third source of arthritis. In working with arthritis naturally, start by drawing better circulation into the affected areas to help them to heal. Massage and gentle stretching exercises combined with topical applications of Tei Fu Essential oils or Deep Relief oils will also help ease pain. MSM (MethylSulfonylMethane), a sulfur compound, Sulfur, the eighth most abundant element in the human body, has a long history as a healing agent. For centuries mankind has soaked in sulfur-rich mineral hot springs to help heal a variety of ailments. MSM supplies biologically active sulfur. It helps with liver detoxification and studies show it helps ease arthritis pain in many individuals. Collatrim Plus and Collatrim Capsules both contain collagen. Where cartilage is damaged, Collatrim helps to prevent hardening of this tissue and helps cartilage to heal. A few grams a day can help restore mobility to the joints. There are a number or excellent herbal products that also help arthritis. Herbs can supply nutrients to help damaged joints to rebuild. Silica adds resiliency to joints so they are less susceptible to damage. It is found in horsetail, Dulse Liquid and HSN-W.
Calcium is important for joints, but taking calcium supplements doesn’t help unless other elements are present for assimilation and utilization, including Vitamin D, silica, boron and magnesium. Skeletal Strength contains all of these nutrients and is the best calcium supplement for helping with joint repair. Still, many people actually do better with the herbal calcium found in Herbal CA, which also promotes bone and joint healing. Anti-inflammatory herbs can reduce joint inflammation, aid in detoxification and ease arthritis symptoms. Joint Support and Joint Health are two excellent formulas that help with this problem. Combination Eight or APS II will also help reduce inflammation and pain. As an alternative to NSAIDs Triple Relief can be used to ease pain. However, underlying causes still need to be addressed. For dealing with the calcium deposits often present in osteoarthritis see information under Calcium Deposits. In the presence of mineral imbalances, calcium can come out of solution and form gravel, stones, hardened tissue, or bone spurs. Calcium deposits often signal a lack of magnesium or other nutrients used in conjunction with calcium. Herbs that have lithotriptic properties can help bring calcium back into solution in the body. These include hydrangea, lemon juice and gravel root. If you have been taking calcium supplements, discontinue their use and take 500-1,000 milligrams of magnesium each day. If you feel you still need a calcium supplement try Herbal CA. Herbal CA is a combination which consists primarily of vulnerary (tissue-healing) mucilants. It does not contain a large amount of calcium but does help bones and injured tissues to heal. It contains many trace elements that would help the body utilize calcium and other major minerals better. It is commonly used for problems like arthritis, back ache, broken bones, damaged cartilage and teeth grinding. Remedies that reduce inflammation can be helpful when bone spurs are involved. These include Joint Support and Joint Health. For hardened tissue, use the Mega Chel program (Oral Chelation) with lithotriptic herbs. I Hope you will join us for This months Free Training via Teleconference Call. Each month the NSP Training Department offers intense training on one NSP product. Product Focus Meetings are conducted via a tele-conference call and are available, at no cost, to anyone who has a touch-tone phone. Feel free to share the number with clients and friends. During this meeting, health experts from both inside and outside NSP will provide in-depth information on how to use the product and how it can improve your health. aExpand your knowledge of specific NSP products. aAsk questions of product experts. aTake advantage of free training. At the scheduled time, dial 1-800-756-4697 and enter pin 8626#. Guest Speaker: Dr. Hugo Rodier, M.D. Dr. Hugo Rodier, M.D., has a medical practice in Salt Lake City, Utah, and is a recognized authority in nutritional and integrative medicine and psycho-neural immunology. Dr. Rodier has traveled the world, volunteering at clinics for displaced people and also in the National Health Service Corp. He studied at the Baylor College of Medicine and the University of Utah Medical School. He serves an active role as a member of the editorial board of the Utah Medical Association, he teaches at the University of Utah, and he is also chairman of the Utah Medical Association's Environmental Committee. Join us on this month's Product Focus Call to learn more about the Habit-of-Health products and to hear from Members and Managers who have completed the Challenge. I just want to forward this information to you about this great Day coming up in Auburn, NY on June 10-11, 2005. The workshops on Health and Nutrition will be fabulous. I am looking for members in my NSP Successline to attend this class as greeters (and future upline) to anyone on this mailing who is not a member, who attends and is interested in a membership or more information. Members, please let me know if you are attending so I will know who to refer non members to. (contact info at bottom of email). New members are welcome to jump in on this opportunity as well. And visa versa - If anyone (who is not an NSP member yet) would like to signs up for this class, please let me know so I can make sure to have a member in my Successline greet you there. If you are New to Health and Nutrition, experiencing physical & health challenges which you are looking for answers to, building your NSP business, or if you are just broadening your field of knowledge, you will not want to miss this day. Jack Richason and Kim Balas are two incredible teachers/Health Professionals and will make this a day to remember! http://herbsplus4health.com/membersonly/061105AuburnNY.pdf (brochure can be found at this link) Please feel free to send this email on to anyone you think might be interested in better health via Nutrition. I hope to hear from all of you!!! Please let me know how I can help you best! Take charge of your health naturally! Add Life to your Years and Years to your Life with Nature's Sunshine Herbs and Vitamins! Dr. Kimberly Balas holds a Ph.D. in Nutrition from Stafford University and a Doctorate in Naturopathy from Clayton College. She is a board-certified Naturopath and a member of the American Naturopathic Medical Assoc. A regular contributor to Nature’s Field, Kim has developed numerous natural health courses, including Natural Applications of Blood Chemistry which integrates laboratory testing with natural health preventative care and herbal remedies. Kim’s biochemistry work will soon be available nationwide through the VitalTest™ offered by Biomarker Solutions, Inc. (of which Kim is CEO). Kim’s humorous, lively, and information packed teaching style has made her a popular instructor for Nature’s Sunshine and Tree of Light both in the U.S. and Canada. She participates in the QFA and NSP Advisor forums, as well as running her own consultation business, Balanced Health Solutions. Kim is also an Area Manager with Nature’s Sunshine. Vitamin and Health Encyclopedia, and coauthored Cook Right to Eat Right. Both of our speakers are known for being very practical and down-to-earth, and we know you will both enjoy and learn from them! 8:30 – 9:30 a.m. – Your Body Needs Spring Cleaning, TOO! Kim will teach us the importance of detoxing our bodies for better health and increased energy. 9:45 – 10:45 a.m. – The Ten Golden Rules of Health – There’s more to good health than just taking supplements! Dr. Jack will also teach on Nucleotides: The Answer to Aging and Disease in this session. fibromyalgia, chronic fatigue and others. NOON – 1:30 p.m. – Lunch & Shopping Time – A healthy buffet lunch will be served in the courtyard and is included in your pre- registration fee. Visit our vendors! 12:05 – 12:50 p.m. - QFA 101: How To Read Those Six Numbers! Bob Doenges from Health Science Products will give a brief overview of the QFA during the lunch break, as we will be eating in “shifts”. This is an optional vendor workshop which we encourage you to attend if you are interested in learning more about the QFA. 1:30 – 2:30 p.m. – The Hideous Hiatus Hernia - Dr. Jack has never seen any disastrous disease (cancer, congestive heart disease, Alzheimer’s, Parkinson’s, MS, diabetes, HIV and more!) that was not first preceded by a hiatus hernia. There is a solution!! 3:00 – 4:00 p.m. – What Your Doctor May Not Know… Or Tell You…About Cholesterol! Kim will tell you what every adult needs to know for better health. Register early - we are filling up quickly! Please call or e-mail after 5/30 to be sure there is room. Toombs; mail to: 11 Venette St., Cortland, NY 13052. Refund Policy: No refunds after May 30, 2005. However, we will gladly transfer your registration to another person if you cannot attend. Don’t Miss These BONUS Events on Friday, June 10!! Have you ever wondered what all those numbers on those blood tests mean? Balance your health, nutrition and supplements through a simple evaluation of your blood. Understand how typical blood tests can provide insights to each body system and preventative methods to achieve an optimal state of health. Learn to use standard blood tests to determine health risks and how to see illnesses before symptoms develop. See how the glandular system influences the blood, hormone production and other organ functions. Find out how to successfully balance each body system and rebuild the weakest links. You will be able to understand which supplement to choose with confidence and what they are doing to shift chemistries in the body. You will actually be able to prove that the supplement program you suggest is working. • How to determine which organ or gland is being affected by the blood chemistry. • Learn which NSP products will bring these organs/glands back to balance and show improvement on actual blood work. • Understand when to use an overall building or cleansing program. • Be sure you are making a difference with your client. • See a bigger picture of the root cause of all imbalances. • Increase your consulting business. • After completing this class you will be able to order blood tests for your self and your clients. • Full report provided online with explanations, handouts and other tools. When: 6:00 – 9:00 p.m. Cost: $7.99++ for your dinner; the rest of the evening is FREE if you are pre- registered for June 11. NOTE: We only have room for the FIRST 85 people who sign up. Please indicate on registration if you plan to attend. • Body Gem® - measure your metabolism! 315/496-2410. All displays are subject to sponsor approval.